daniel j. kirk and Katie Green are two visual artists who work under the banner of Blank Page Studio. The team has numerous public artworks displayed around Calgary, including THE FIELD MANUAL (collaborative mural and installation part of the Riverwalk Public Art Program), the Bowness Public Library mural, and kirk’s most recent mural on 9th avenue in Inglewood. Together they have submitted a proposal titled ‘Imaginarium’ which would transform the Contemporary Main Entrance of cSPACE King Edward into a full-scale, mixed-material installation exploring how the surrounding community of Marda Loop as well as the tenants of cSPACE King Edward relate to creativity. 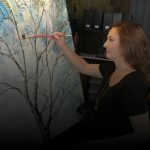 daniel j. kirk was born and raised in Calgary, Alberta and has been practicing art professionally since graduating from the University of Calgary in 2006 with his BFA. He is well known in Calgary for his many murals and public art installations and active role in the arts community. His public commissions and private work can be found throughout Canada, the United States, Central America and Turkey. 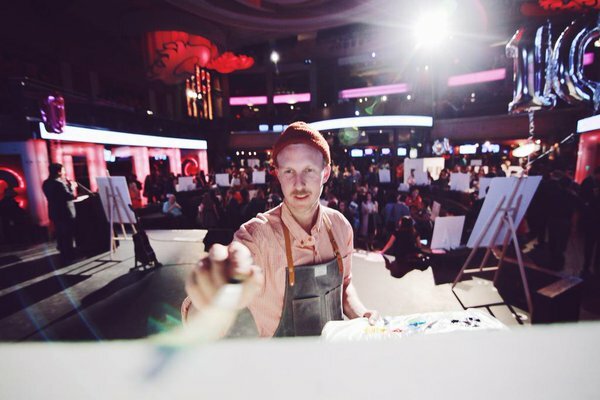 In 2014 daniel co-founded BlankPage Studio, a local creative hub with a mission to encourage dialogue and active participation in the development of Calgary’s cultural sphere. 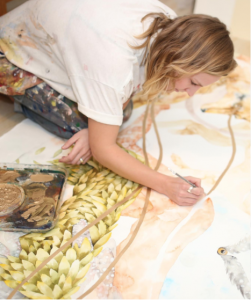 Katie Green also earned her BFA with distinction, from the University of Calgary and has exhibited her work at Calgary galleries like Contemporary Calgary and The Nickle and can also be found internationally in Nepal, India, Florida and Sri Lanka. 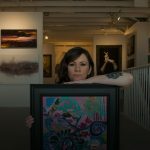 No stranger to creative collaboration, Katie has often worked in collaboration with a number of collectives, non-profit organizations and communities in addition to her independent works. Her practice addresses nature as a crossroad for developing concepts of growth, death, adaptation, cooperation, and perhaps most importantly, our emotional and physical selves (credit, artists’ website). We caught up with the creative team for a Q&A about their work, their vision and the best advice they ever got. Q: What mediums do you work with? How would you describe your subject matter? What themes seem to occur/reoccur in your work? Katie: My work mainly focuses on painting. I use mediums such as water colour, acrylic, and gauche on surfaces including canvas, paper, and walls. My work explores my relationship to the natural world. Daniel: I work with paint, wood, relationships and installation. The subject matter of my work is dependent upon the context I am working in. Predominantly I am interested in value, symbols and social constructs. These themes tend to generate figurative work, portraits, etc. Q: What are you currently reading, listening to or looking at to fuel your work? Katie: Right now I am reading a book called “The Five Elements” by Dondi Dahlin. I am listening to the album “Yes Lawd” by NxWorries on repeat. A book I reference often is “War on Art” by Steven Pressfield. It’s extremely powerful. Daniel: Reading: Yuval Noah Harari’s book Sapiens, Thoreau’s book Walden. Listening: Brian Eno, Godspeed you Black Emperor, Dizzy Gillespy. Q: What are your biggest challenges to creating art and how do you deal with them? How do you navigate the art world? Daniel: Being vulnerable and authentic. Learning to trust my own voice. I navigate the “art world” with a compass made out of a milk carton and a map drawn on the back of my hand. Katie: I think Daniel answered this perfectly. Trusting my own voice. Remembering to be playful when creating. To not take my work to seriously. To be okay with ‘failing’ and with this, hopefully work towards redefining what failure means to me. I try to constantly push myself into uncomfortable places where I can explore different aspects of myself and how I approach my creative practice. Q: Pretend you’re pitching your cSPACE King Edward public art proposal in an ‘elevator pitch’: How would you describe the concept in just a few sentences? Daniel: The project is called the Imaginariurm. It is an undefined journey. An exploration of the creative self. Q: What inspired you to submit a proposal? Where did you draw your conceptual inspiration from? Daniel: I am very interested in cSPACE as an idea and I have a connection to the development of that idea. I want to contribute to it. The inspiration came from Katie and I having a conversation about how we could best contribute to the idea of cSPACE. Q: What would you say was biggest achievement or milestone to date? Katie: Switching from Kinesiology to the Arts. Essentially trusting my choice to walk this path. Q: What does having a physical space to make art in mean for your process, and how do you make your space work for you? Katie: The space has to feel safe for me. I am not really sure how to explain this, but I need to have a feeling of support. This can be from other people around me, by what I put in the space, or simply by the feeling of the space. Does it feel good to create in? Does the energy of the space feel energizing or stale? I suppose if a space feels safe I feel more comfortable entering a vulnerable place, which is often how I feel when I am creating. Daniel: The space to make anything is vital to the creative process. The psychological space and the physical space. We have proposed a project such that we will make our work in cSPACE for cSPACE. I feel this is the best way to ensure the work is as honest to the site as possible. You do what you can. Small space = small work. Big space = Big work. Katie: Show up for yourself everyday. Q: Do you have Instagram? If so, what’s your handle?